Carolyn B. Werling, 79, passed away Friday, November 9, 2018 at Parkview Regional Medical Center, Fort Wayne. Born in Auburn, she was the daughter of the late Eugene and Francis (Hogue) Browand. She was a member of Emanuel Lutheran Church, Jaycee Wives, and Tri Kappa Sorority. She was employed at the Allen County Treasurers Office for three years and went on to retire from the Adams Twp Assessors Office after 12 years. She enjoyed her time at Hamilton Lake and cheering for IU Basketball. She loved playing cards and was always up for a good board game or puzzle. She is survived by her husband of 58 years, Terry; children, Tim (Teresa Stokes) Werling and Andy Werling both of New Haven, Tom (Lindsey) Werling of Hamilton, and Elizabeth (George) Bruick of Bakersfield, CA; sister, Marian Howell of Little Rock, AR; and grandchildren, Amanda Schraeger, Gregory Bruick, Victoria Bruick, Geoffrey Bruick, Ava Werling, Abbi Werling, Mckenzie Werling, and Henry Werling. She was also preceded in death by her brothers, Robert and Billy Browand. Funeral services are 10:30 a.m., Tuesday at Emanuel Lutheran Church, 800 Green St, New Haven with visitation one hour prior to service. Rev. Paul Shoemaker officiating. Visitation is also 2 to 4 and 6 to 8 p.m. Monday at the church. Entombment at Covington Memorial Gardens, Fort Wayne. Preferred memorials are to Central Lutheran School Building Fund or Emanuel Lutheran Foundation. Arrangements by Harper’s Community Funeral Home, 740 St. Rd. 930 E., New Haven. Clifford “Cliff” L. Belvin, 57, passed away Thursday, November 8, 2018 at Ashton Creek Health and Rehabilitation Center, Fort Wayne. Born in Goshen, he was the son of Clifford and Maudie (Rigsby) Belvin, both survive. Cliff married his wife Sharon on October 13, 1984. Together they raised four children. Cliff worked as a car salesman which was the ideal occupation for him, he loved cars! Cliff would spend hours on the phone and internet searching for G.M. muscle cars. Along with friends and family he would rescue them and restore them. His goal was to make them as original as possible. He had a terrific eye for detail. He once said, “I am one car away from pure happiness.” Cliff could tell a great story. He would capture your attention and he wasn’t happy until you were laughing with him. Cliff loved his family and friends and never forgot a face or name. He was blessed with many longtime friends and a very large extended family that he cherished. Cliff loved to travel with his wife Sharon. He always found great peace in the Smoky Mountains. He is survived by his wife of 34 years, Sharon; children, Amanda (Karl) Zimmerman of New Haven, Michael (Ashley) Bremer of Monroeville, Cory (Jennifer) Belvin of Fort Wayne; and Emily (James) Belvin of Pearland, TX; and six grandchildren that he absolutely adored; his puppy, Tilly that will miss their daily walks and the songs he would sing to her; brothers, Kevin (Kathy) Rowe, Kirk Rowe, and Todd Belvin. He was also blessed with a host of nieces and nephews, each one very special to him. 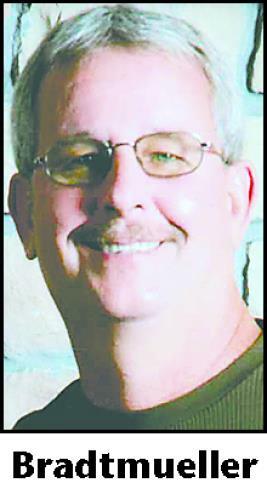 Funeral services are 11 a.m., Tuesday at St. James Lutheran Church, 1720 St. Rd. 930 E, New Haven with visitation one hour prior to service. Pastor Mike Kjergaard officiating. Visitation is also 2 to 4 and 6 to 8 p.m. Monday at Harper’s Community Funeral Home, 740 St. Rd. 930 E., New Haven. Preferred memorials are to SOUL Dog Rescue & Rehab, Fort Wayne. The family would like to thank Whitney at Ashton Creek. She provided compassionate care even after he took his final breath. Wayne Leroy Louden, 80, died Tuesday, November 6, 2018 at Parkview Hospital – Randallia, Fort Wayne. Born in Monroeville, he was the son of the late Carl and Marie (Spurgeon) Louden. He married his beloved late wife, Diane, in 1959. He served his country in the Air National Guard. He retired in 1995 from Do It Best Corporation after 38 years. Wayne was also a past member of the New Haven Lions Club and the Zoning Board for Adams Twp. He and his wife loved cruises and traveled to all 50 states. Among his many loves were his grandchildren, fishing, riding his bike, and cheering for his favorite sports teams. He is survived by son, Jeffrey (Theresa) Louden of New Haven; siblings, Richard (Irene) Louden and Carol (Jerry) McCagg both of Fort Wayne, Marjorie (Lance) Lothamer of New Haven; grandchildren, Eric (Alexandra) Louden of Fort Wayne, Nicole (Nick) Altherr of St. Louis and Courtney (Jordan) McGuckin of Columbus, IN; great granddaughter, Elizabeth Louden; and a great grandson on the way. He was preceded in death by his wife of 54 years, Diane in 2013; and brother, Robert Louden. Funeral service is 11 a.m. Saturday at E. Harper & Son Funeral Home, 740 St. Rd. 930 E., New Haven with calling one hour prior. Calling is also from 5 to 9 p.m. Friday at the funeral home. Entombment is at Concordia Cemetery Gardens, Fort Wayne. Preferred memorials are to Cancer Services of Northeast Indiana or New Haven Parks Department for the Trails System. For online condolences go to www.harperfuneralhome.com. JALA K. CABLE, 62, of Fort Wayne, passed away Friday, Aug. 3, 2018. Arrangements by Midwest Funeral Home & Cremation Society. MARGARET “MARGE” LOUISE MOORE, 85, of New Haven, passed away Thursday, Jan. 4, 2018. Arrangements by Harper’s Community Funeral Home of New Haven. Marvin Russel Smith, 86, passed away on Friday, December 29, 2017 at Parkview Regional Medical Center, Fort Wayne. Born in Fort Wayne, he was the son of the late Earl and Edna (Jones) Smith. He served his country in the US Army during the Korean War and was a member of the American Legion Post 420, Monroeville and Howard Bandelier VFW Post 2457, New Haven. He was also a member of St. Louis Besancon Catholic Church and the New Haven Lions Club. He was the owner and operator of Smith Builders for 45 years. After his retirement he enjoyed woodworking projects, sports, was an avid reader, and loved spending time with his family. He is survived by his wife of 61 years, Marilyn; children, Mike (Linda) Smith of Fort Wayne, Kathy (Tad) Biddle of New Haven, Steve (Suzy) Smith of Monroeville, and Marc (Lori) Smith of New Haven; sisters, Vera (Pete) Christman of Fishers and Pat (Abe) Gerardot of Monroeville; grandchildren, Lucas (Amy) Smith, Evan (Claire) Smith, Nick (Rita) Smith, Lindsay (Casey) Anderson, Allison (Justin) Slusher, Stefani (Derek) Fillers, Henry Smith, Molly Smith, Sam Smith, Harry Smith, and Samantha Smith; and 14 great grandchildren. He was also preceded in death by his brother, Eddie Joe Smith. Memorial Mass is 11 a.m. Saturday, January 6, 2018 at St. Louis Besancon Catholic Church, 15535 Lincoln Hwy E., New Haven with visitation one hour prior to service. Father Ben Muhlenkamp officiating. Burial in the church cemetery with military honors. Preferred memorials are to the St. Louis Besancon Catholic Church Building Fund. Ruth M. Kern, 61, passed away on Monday, January 1, 2018 at Hospice Home, Fort Wayne. Born in Fort Wayne, she was the daughter of the late Andrew and Margaret (Fuelling) Kern. She was a lifelong member of St. Peter’s Lutheran Church, Fort Wayne. She graduated from Woodlan High School in 1975 and Indiana University School of Business, Bloomington in 1979. She worked for Marathon Oil in Findlay, Ohio then in Houston, Texas, traveling many times to the Middle East and England. She returned to Fort Wayne in 1994 and began working for Franklin Electric in 1995. She was manager of Internal Audit for all of Franklin Electric World Wide Locations, retiring in 2013. She traveled extensively around the world for work and pleasure. She was an avid IU Basketball fan and always cheered for the Indianapolis Colts. She is survived by her brother, Lyle (Juanita) Kern of New Haven; many good friends including, Pat Breit of Woodburn, Mary Wells of Indianapolis, and Sue Sipes of Fort Wayne. Memorial service is 11 a.m. Saturday, January 13, 2018 at St. Peter’s Lutheran Church, 7710 E. State Blvd., Fort Wayne. Preferred memorials are to Hospice Home or St. Peter Lutheran Church Building Fund.